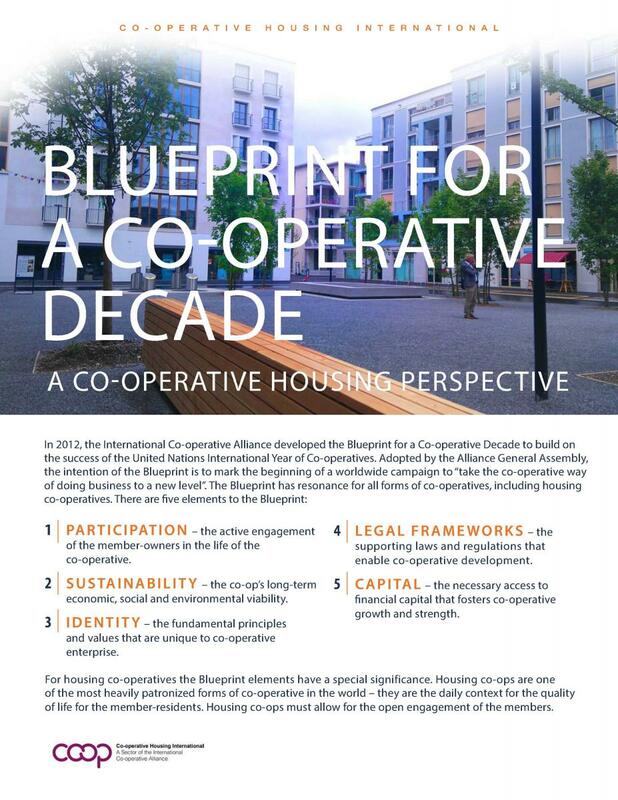 Unlike other forms of consumer co-operative (of which housing co-operatives are a particular form), housing co-op members patronise their co-ops on a continuing, daily basis. The opportunities for member engagement in the democratic and community life of the co-op are therefore much more readily available without over-taxing the members’ time and attention. In terms of sustainability, housing co-operatives seek to achieve economic, social and environmental sustainability. Housing co-ops must always take the long view in financial planning and revenue generation. They also have the great advantage of also being communities of place. In doing so, housing co-ops contribute to the stock of social capital locally, and in the aggregate, regionally and nationally. Figures also show that housing co-ops want to contribute to a healthy environment. As housing businesses, co-ops have great potential to achieve that objective. When it comes to identity, housing co-ops have two advantages – it is easy for them to draw members together I voluntary events and explain the co-op vision and they are physically present in their neighbourhoods. 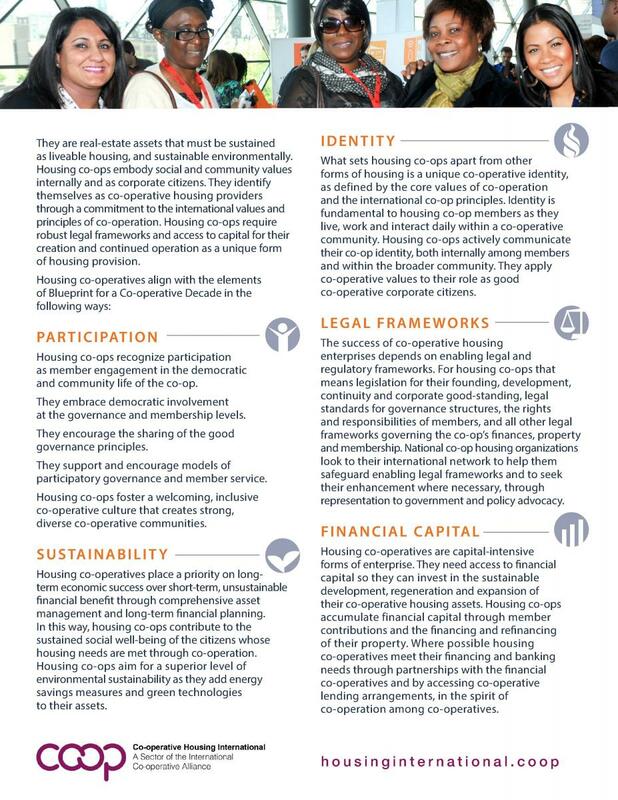 Housing co-ops need enabling legislation for their establishment and corporate good-standing, for adequate governance structures, and for the establishment of the rights and responsibilities of members. As to capital, housing co-operatives have a distinct advantage in this environment. Because, in seeking sources of investing, they are in the process of becoming or already are owners of real-estate assets, they can make use of a tool common to homeownership everywhere – mortgage financing and refinancing. Download the CHI Blueprint here (in English). Also available in Spanish, German and French.